Imagine summing up years of detailed and complex research to a general audience – and doing it in just three minutes. That’s exactly what 10 graduate students are challenged to do for the Eastern Regional Three Minute Thesis competition being hosted by University of New Brunswick on Thursday, April 20, 2017. Ten graduate students from universities across Atlantic Canada and Quebec will converge upon UNB’s Fredericton campus to compete for a chance to advance to the national competition. But the three-minute timeline is not the only challenge. The graduate students are also challenged to be accessible, engaging, and exciting to a non-specialist audience. They are allowed a single PowerPoint slide and their own voice – nothing else. 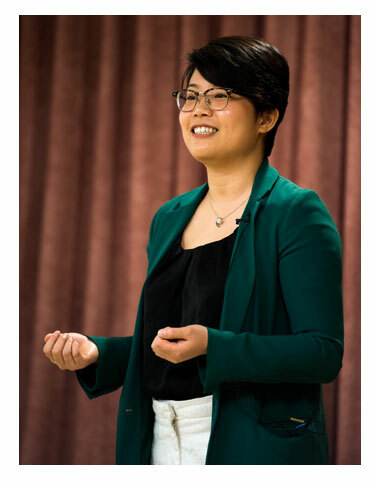 “I found it both challenging and exciting to distill my research from the past two years into a three-minute elevator pitch,” said Ms. Lee. “In writing my dissertation, I necessarily have to focus on small details, and it was a nice shift in perspective to look at the big picture of my research. Judges from the Fredericton community will identify the top three presenters, who will receive cash prizes and have a video recording of their presentation submitted to the national competition. Audience members select a people’s choice winner. Everyone from the community is welcome to the free event. “This is an excellent opportunity for both our university community and the city around us to learn more about the ground-breaking research taking place on our campus and on university campuses across Canada,” Dr. Rendall said. The Three Minute Thesis Eastern Regionals will be held in Marshall d’Avray Hall Room 143 at UNB Fredericton on Thursday, April 20 at 11 a.m.